Hemp Bombs now offers the all-natural benefits of CBD to your dog in a tasty treat form. Each CBD Dog Biscuit contains 10mg of pure CBD and provides a multitude of potential health benefits for your dog. 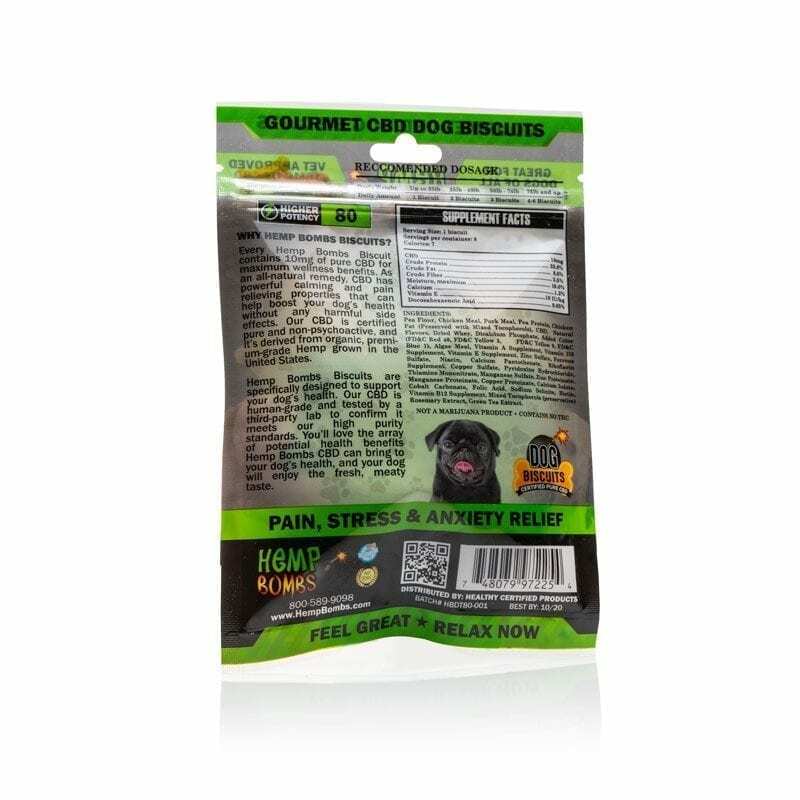 Our CBD Biscuits may offer relief from an assortment of ailments including separation anxiety, pain, hip and joint trouble and irritated skin. 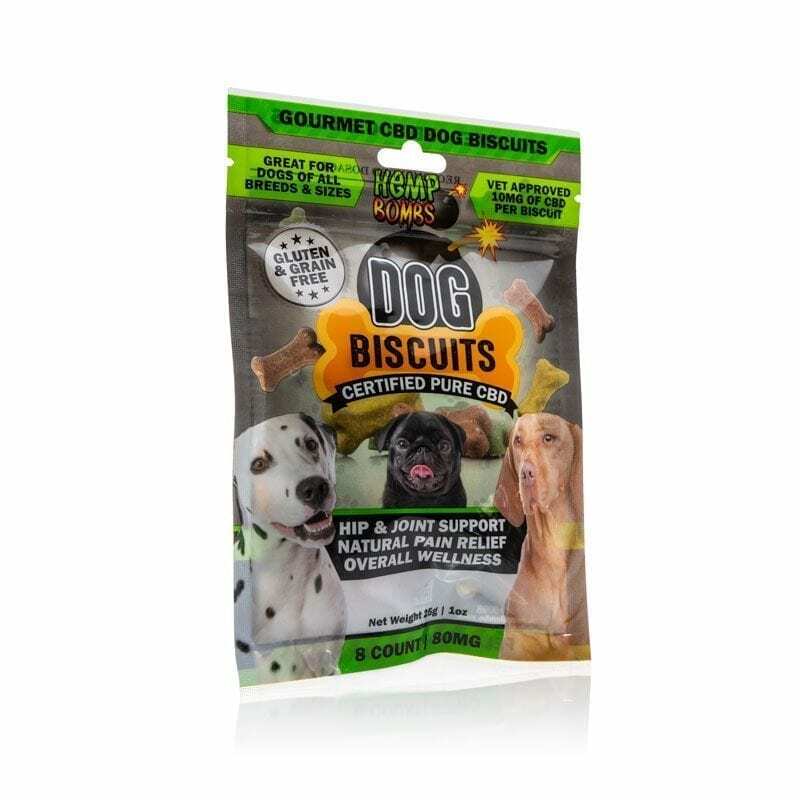 Our tasty biscuits can be given to your dog daily to help support their overall health and wellness. Hemp Bombs CBD Dog Biscuits are the perfect treat to give to your furry friend. Packed with 10mg of premium CBD, our dog treats can deliver a wide variety of therapeutic benefits. A non-Marijuana product with no known harmful side effects, Hemp Bombs CBD Dog Biscuits are a great way to keep your pup happy and healthy. CBD, or Cannabidiol, is a natural compound derived from the Cannabis plant. 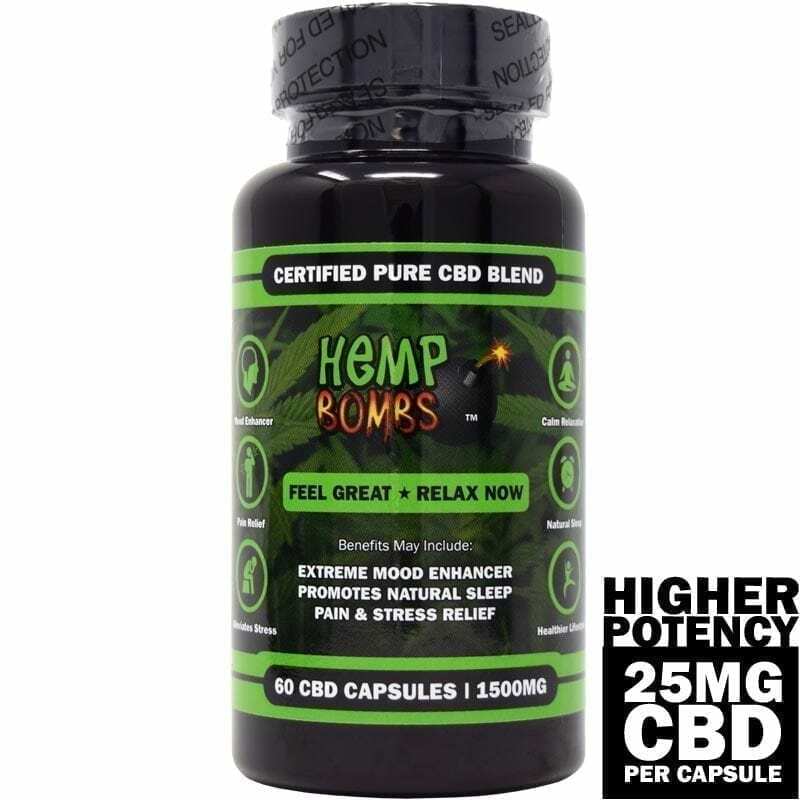 At Hemp Bombs, we source CBD from Industrial Hemp, which contains high traces of CBD and low traces of THC. Our CBD undergoes a process known as CO2 Extraction to isolate and purify our premium CBD. The CO2 Extraction process removes any traces of THC, Our CBD undergoes a process known as CO2 Extraction to isolate and purify our premium CBD. The CO2 Extraction process removes any traces of THC, making our dog biscuits a rich and healthy treat for your best buddy. Are CBD Dog Biscuits Healthy for My Dog? Hemp Bombs CBD Dog Biscuits have the potential to be an extremely valuable wellness product for your dog’s health. CBD positively interacts with your dog’s Endocannabinoid System to support vital bodily functions. The Endocannabinoid System, or ECS, is a biological system made of cannabidiod receptors that responds to CBD once it becomes metabolized. Working with CBD Dog Biscuits can help regulate your dog’s immune system, pain response, inflammation levels, appetite, sleep schedule, and much more. 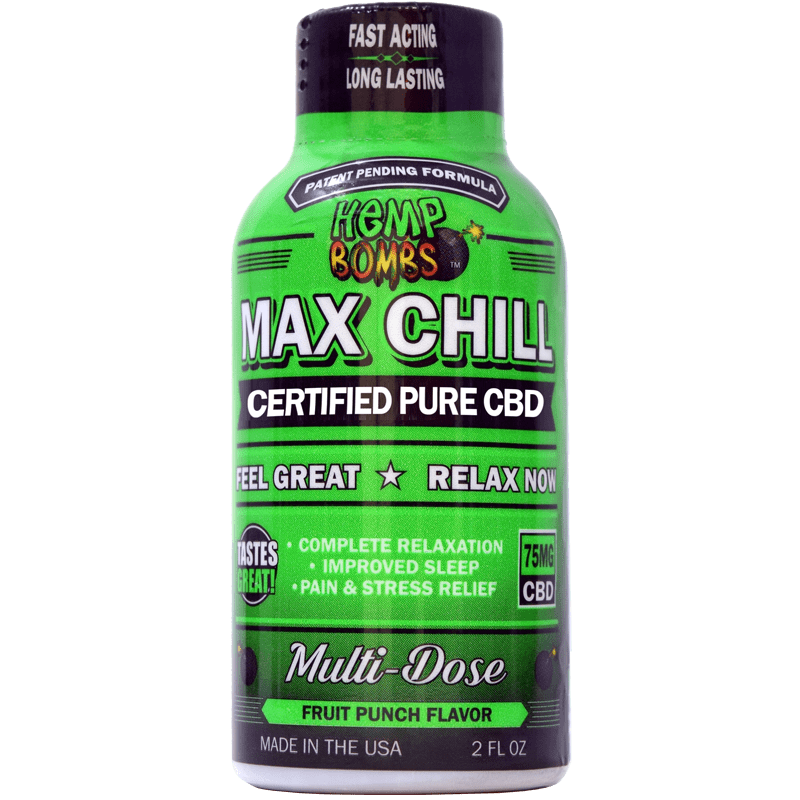 Will CBD Dog Biscuits Get My Dog High? 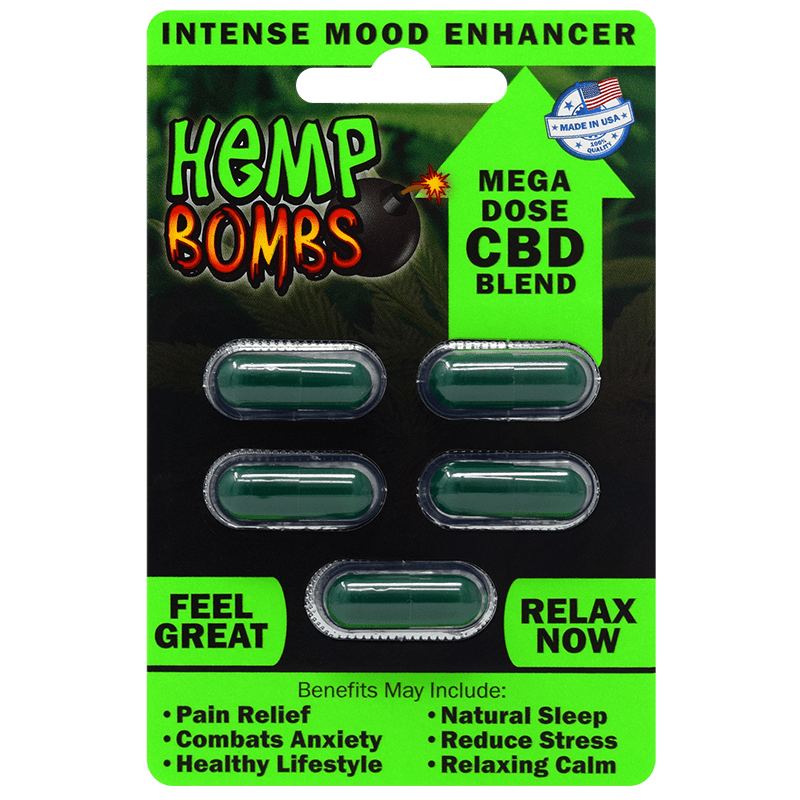 Hemp Bombs CBD Dog Biscuits will not get your dog high. Our CBD Dog Treats contain no traces of THC and will not cause your dog to experience psychoactive effects. Instead, CBD encourages a relaxing and calming state of mind which can help reduce travel and separation anxiety. Are There Side Effects to Giving My Dog CBD Dog Biscuits? There are no known harmful side effects of CBD that will affect your dog. Being a natural compound, CBD is not associated with addiction or any toxic properties. Our CBD is verified through third-party lab tests to guarantee that your dog is receiving a beneficial treatment for their health. OMG, my dog LOVES these. More so than his non-cbd treats. Amazing! I’ve noticed they really relax my dog. She lays around more eating them. Probably great for an over active type of dog. Excellent! 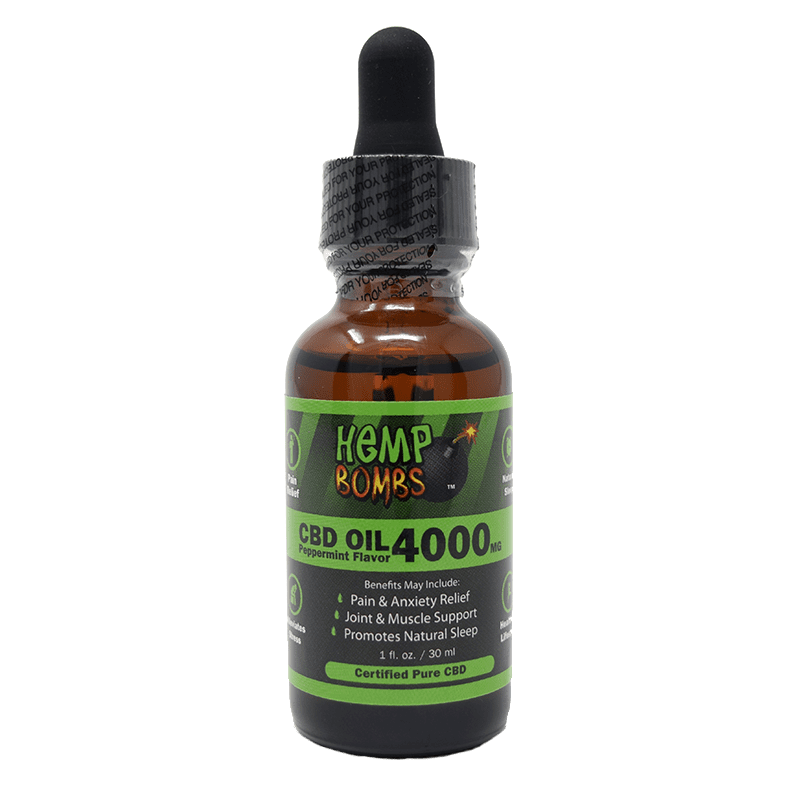 I was looking for a pet CBD product that might help my 8-year old dog with arthritis. She eats these biscuits with no problem and now when we go walking she is much faster and seems like in less pain. The flavor must be great to a dog. Mine literally bit the bag out of my hand. He loves them. My Yorkie suffers from noise related anxiety. Normally, when things aren’t loud, he is docile and fairly relaxed for the breed his is. But when lightning hits or a siren screams past, which happens multiple times during the day as I live next a main road, he goes berserk and gets out of control barking loudly and running around crazy. I ordered these in hope of cutting down his anxiety as I’ve heard and read it can do. I will update the review after I’ve given the biscuits to him and observed his behavior. She liked eating them but they didn’t do much. I didn’t see a change in her behavior. Started giving the biscuits to my two dogs a couple of days ago and they love them. They actually sit without asking when they see me opening the bag. I found them effective for getting them to bark less and not be so jumpy. My dog loves these. He slept all night in our bed without waking us up. Win, win. I was waiting for you guys to come out with these. Just placed my order for 2 bags. These are great. I’m giving me dog 2 at a time. Is that too much? He’s 60 pounds. This is a good alternative to the pet oil. Will you be offering them in a larger size than 8 count?